Make your child's birthday one they'll never forget! Does your daughter or son love bugs? Is their special day coming up? If so, you should consider inviting Planet Bee to your party. We offer a full Bee-Day Party package to make sure your child’s birthday is the bee’s knees! 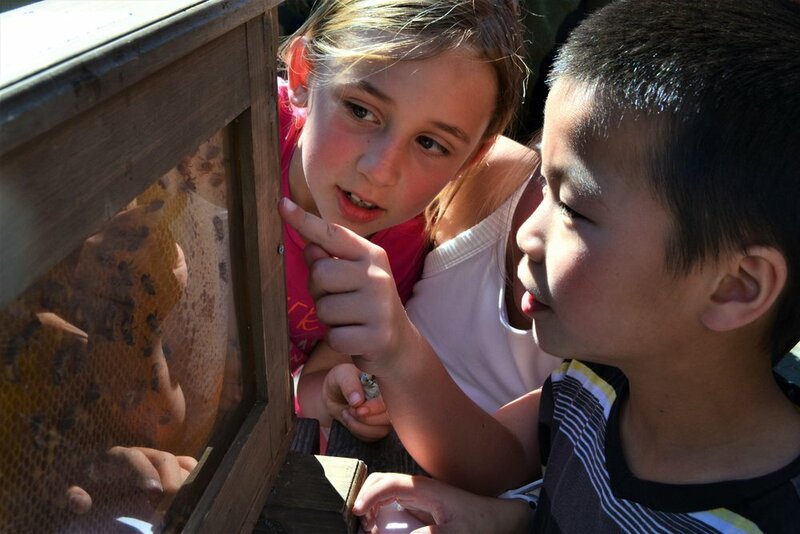 Our awesome teachers will visit your home or backyard with an observation hive of live honey bees and a whole lot of fun. They will teach your students our bee basics curriculum, lead creative pollination games, show children how to make seed balls, and run a variety of hands-on activities. Our party package will be adapted based on the age of your child and your specific wants and needs. Besides whatever cake or other refreshments you provide for your partygoers, Planet Bee will offer you a taste of delicious honey comb, fresh from the hive. Other possible activities include building native bee houses, catching bugs with nets before identifying them, and building mini pollinator planters to take home. If you’re interested in throwing an un-bee-lievable party for your child, please email our Executive Director at debra@planetbee.org. Activities: Bee Basics lesson, observation hive, pollination games, seed ball-making, honeycomb tasting, and whatever else you want us to add in!